Gray’s Arch towers like a king’s castle over the valley below. Red River Gorge, Slade, Kentucky. 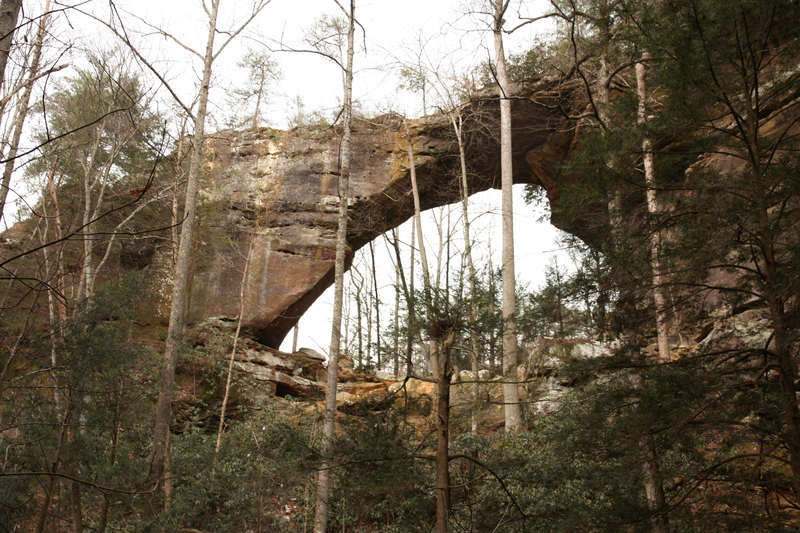 Gray’s Arch in the Red River Gorge has stood for many thousands of years, and may stand a thousand more. In comparison to our span of existence in this world, this wonder of stone is enduring. Many generations have lived and died in the time that this arch has stood, and if the Lord wills, many more will come and go before it one day crumbles to the ground. This entry was posted in God is Revealed... and tagged 1 Timothy 1, God, Gray's Arch, Kentucky, Lord, Red River Gorge, Slade by Todd D. Nystrom. Bookmark the permalink. Great shot. I’ve been to Gray’s Arch several times! Love it there! Thanks. We have yet to find a trail that disappoints down at RRG!